Elie Tahari "Noshra" to in jersey-knit. For in-store inquiries, use sku #2451865. 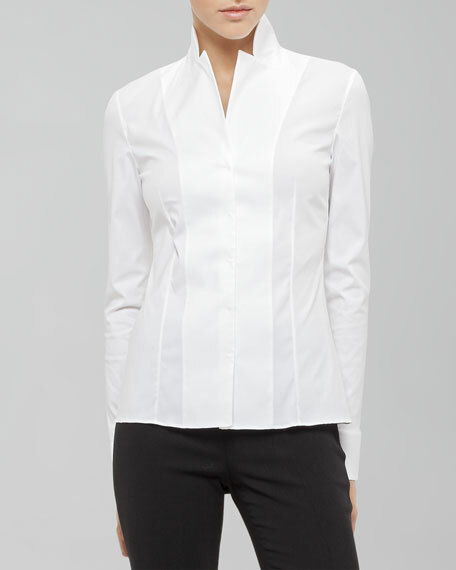 Elie Tahari "Julianna" blouse with contrast trim. 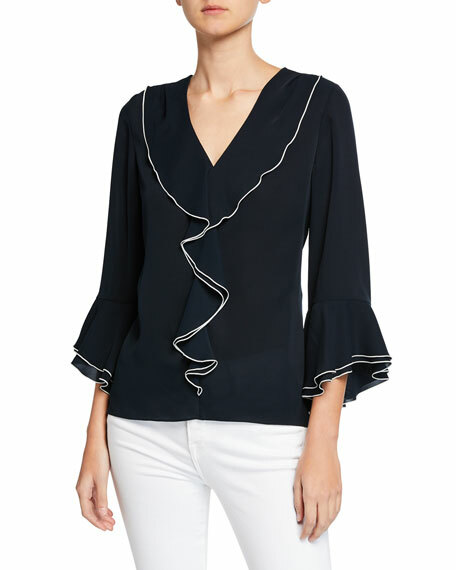 V-neckline with draped ruffle trim. Three quarter sleeves. Layered ruffle cuffs. 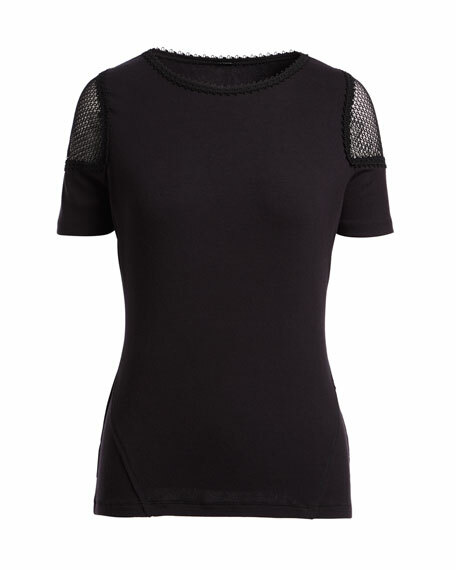 Inverted back pleat. Semi-fitted. Straight hem. Pullover style. Polyester. Imported.